You need a black leather jacket. Why? It is a versatile outerwear piece that can make any outfit look special, no matter if it’s casual, sporty or formal. In this article, I want to show you simple looks you can try this year. All you need is to find your one and only black leather jacket. Get inspired and tell me what is your favorite outfit in this collection. The following black leather jacket comes with a slim-fit. Wear it with a white top and ripped washed blue jeans. 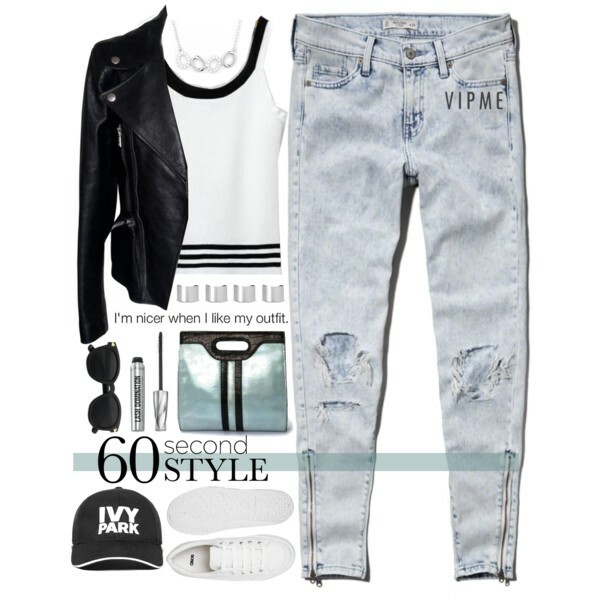 Complete this outfit with a black baseball cap and white sneakers.